The NEBOSH National General Certificate in Occupational Safety and Health is an examined core qualification for people who have part of their role at work involved in health and safety. Prerequisite(s): No previous health and safety knowledge is required but candidates should note the assessment includes a requirement to write a short report. The NEBOSH National General Certificate in Occupational Safety and Health is an examined core qualification for people who have health and safety as part of their role at work. Managers, supervisors and staff from all types of organisations who need a broad understanding of health and safety issues. The certificate helps them manage health and safety risks effectively. 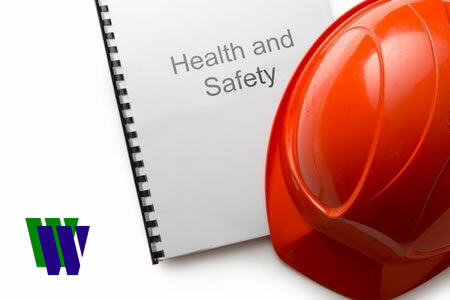 Many people take the NEBOSH National General Certificate as a first step in a career in health and safety. It provides a valuable overview and is a sound basis for further professional study. Holders of the NEOSH National General Certificate in Occupational Health and Safety are entitled to Associate Membership (AIOSH) of the Institute of Occupational Safety and Health (IOSH). The qualification also meets the academic requirements for Technician membership (TechIOSH) of the Institute of Occupational Safety and Health (IOSH) and Associate membership (AIIRSM) of the International Institute of Risk and Safety Management (IIRSM). Units NGC1 and GC2 are taught units each assessed by a two-hour written examination. Each written examination consists of ten ‘short-answer’ questions and one ‘long-answer’ question. Unit GC3 is a two-hour practical examination carried out by the candidate in their own workplace. Block Release (Full Time) [12 day] course – 2 x 1 week blocks plus 2 days (including the examinations). Saturday Day Release (Part Time) [12 day] course – 12 x 1 day per week (including the examinations). E-Learning (Self-Study) – 45 to 75 hours of study, plus 2 days for the examinations. [Please be aware that lunch is not included in the course price at Catterick, or on the Saturday Day Release course at Workington, because the training venues are unable to provide it]. The e-learning materials also include revision and exam support materials, including the offer of carrying out a mock exam. Each course booking initially comes with a 1 year licence for the learning and support materials, allowing you plenty of time to study the material at a pace to suit you. The materials usually take between 80 and 100 hours of study to complete online. Additional offline study time (using the downloadable PDFs) will vary. You can study online on most devices; iPad, tablet, smartphone, PC, etc. The course materials for the e-learning package costs £450.00 + VAT = £540.00. In addition to buying the e-learning materials you would need to pay the NEBOSH Registration Fees and our administration / invigilation fees when you decided you were ready to sit the examinations. These examinations are held regularly in Carlisle, Workington and Catterick. The NEBOSH Registration Fee for the NGC1 and GC2 examinations is £46.00 (no VAT) per unit. Our administration / invigilation fee is £45.00 + VAT per unit examination. The NEBOSH Registration Fee for the GC3 practical examination is £23.00 (no VAT). Our administration / marking fee is £85.00 + VAT for the NGC3 examination. Finally, you also have the option of attending one of our ½ day revision workshops to help you prepare for the written examinations. These workshops cost £65.00 + VAT each. The pass rate for the online course, for first time sitters, is 81%.